These keyboards can be used as computer keyboards, but they also have a number of other uses and styles depending on your application as they offer a few different advantages compared to traditional keyboards where the keys are separate parts. There are few disadvantages to membrane keyboards, as there is not a lot of tactile feedback which can mean that typing blind can be a challenge, still in certain applications this is a very minor issue and the advantageous far outweigh the disadvantages. A membrane keyboard is typically three different layers that are stacked on one another and work together in order to execute the proper command. The top and bottom layers are both membrane layers, and the middle layer is a spacer layer that has holes where each key is labeled on the top layer. The electrical current is printed onto the bottom layer; this current is open which means that the parent device does not register a key press. Once a key is pressed, the top layer and bottom layer connect and the electrical circuit is closed, meaning that the key press is registered and the predetermined command is executed. 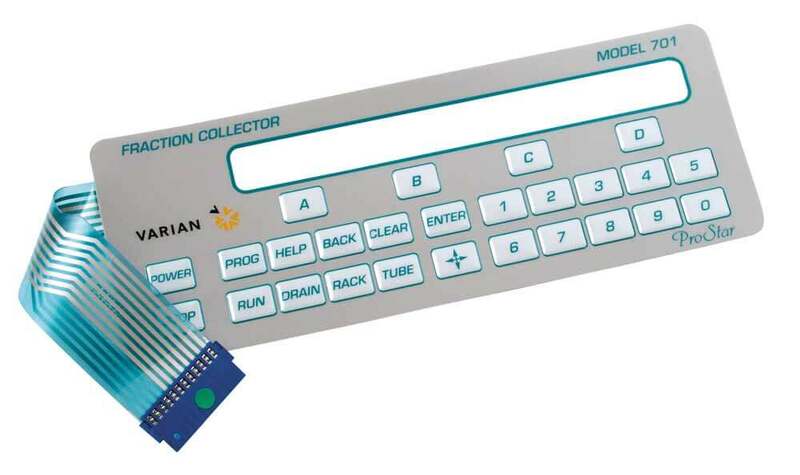 Membrane keyboards can be found in a number of different applications such as industrial controls, medical equipment, telephone systems, access control systems, and in many other industries. The reason that they are advantageous compared to traditional keyboards in these applications is that they are durable as they do not have many different moving parts, they are easy to clean, and they do not allow any outside particles to get in between the keys and prevent the keyboard from functioning properly. Finding the right membrane keyboard manufacturer is the best way to get the product that you need for your application. Whether you need a standard QWERTY keyboard or instead desire something more custom for your application, the right membrane keyboard manufacturer is the key to getting the most value out of your membrane keyboard. Membrane Keyboards Membrane Keyboards are keyboards which utilize a uniform keyboard where the keys are not separate, moving but parts but instead are pressure pads that actively electrical circuits underneath the membrane in order to fulfill the command.